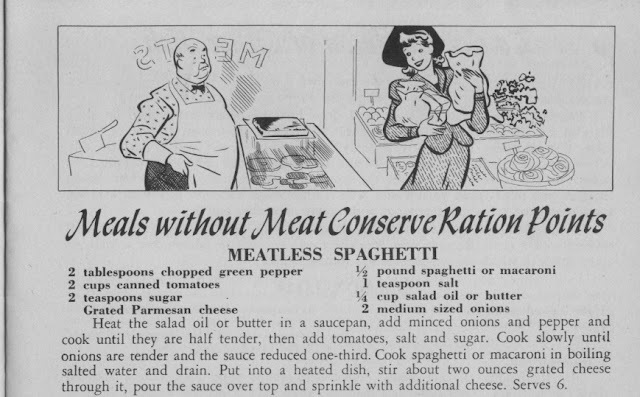 During the War, the government published a series of pamphlets to encourage Americans to stick to rationing and to keep morale high in spite of wartime shortages. 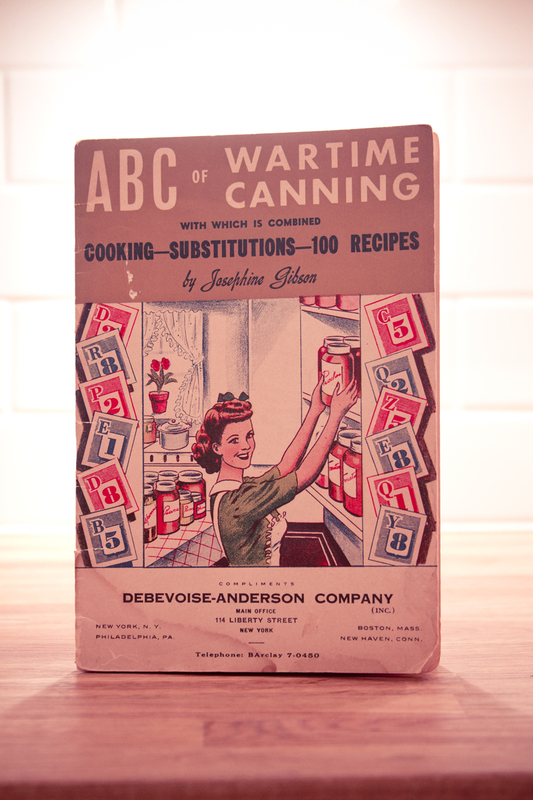 One such publication is “The ABCs of Wartime Canning”. 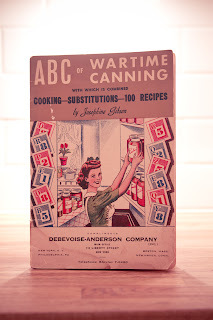 Now most of the recipes & tips in the handout relate to, of course, canning, and not just any canning but canning of jams, fruits, vegetables, and even meat! Some of the recipes had nothing to do with canning. I chose one of those. Admittedly, I played it safe since I just didn’t think I was ready to take on jarred fried chicken. 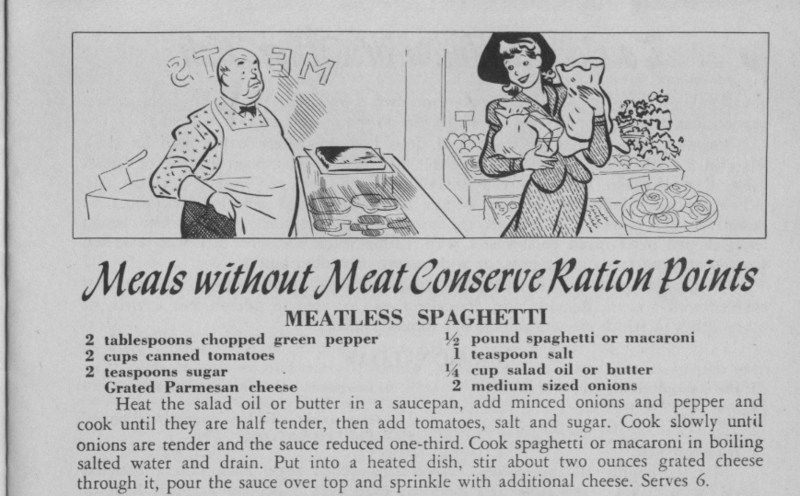 So I went with a low ration point recipe for meatless spaghetti. 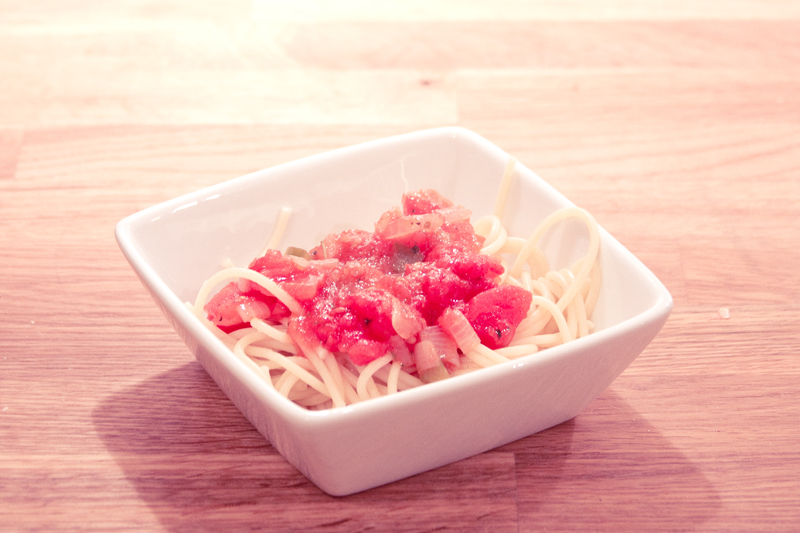 The recipe was simple, but I came out somewhat bland. 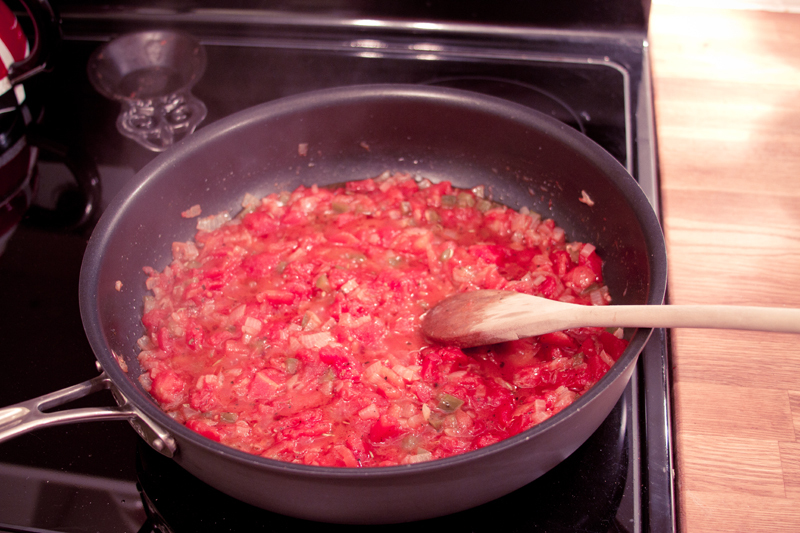 So, I took the liberty of adding roughly a tsp. of black paper and 2 tsp. of Italian seasoning. With the few minor alterations, it came out tasting great! My husband and our little guy both loved it, and I heard no complaints at dinner time.